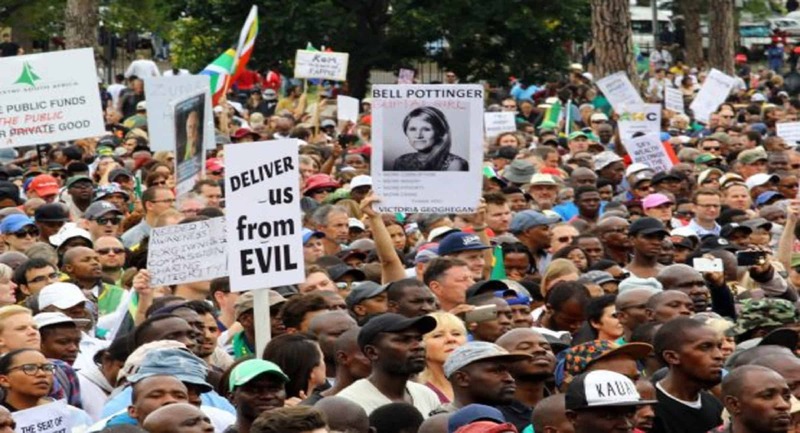 Home » News » Has the Bell Pottinger scandal injured the PR industry at large? Has the Bell Pottinger scandal injured the PR industry at large? Good PR agencies help shape the headlines, rather than become the subject of them. Yet this week major multinational consultancy Bell Pottinger had the news spotlight on them for an ‘economic emancipation’ campaign accused of inciting racial hatred in South Africa. It is reported the firm used fake social media accounts to encourage racial divide and misled the public and journalists as part of its work for a South African company Oakbay Capital. The fallout was huge. Industry regulator PRCA took the unprecedented decision to ban Bell Pottinger for five years, the chief exec resigned and big-name clients deserted the PR powerhouse. Commentators suggest that following a pull out by its biggest investor too, the agency may face closure by the end of 2017. Crucially, the story widened from commentary around standards of practice at Bell Pottinger specifically, with questions posed about the ethics of all companies offering reputation management services. Channel 4 News asked ‘what tactics and dark arts are really being used for whoever will pay the right money?’. In today’s media world, riddled with ‘fakery’, ethics should be a key part of a company culture, with a shared understanding of what is ethical and morally acceptable agreed between employees, partners and clients. Are company services offered for a lucrative deal, irrespective of the nature of the work? Are ethics ‘for sale’? Prospective clients should do their due diligence on the agencies and suppliers they use, including evaluating other clients the agency has relationships with, campaigns worked on and querying any concerns. If not, an agency crisis could bring the client’s own brand into disrepute. Staff should be part of the ethics conversation within agencies, matching how personal values align with those of the company. Is there any client/campaign you’d feel conflicted to work with? And if so, would it be acceptable to raise those concerns? Prospective employees need to carefully consider what kind of agency they are comfortable working within and shouldn’t be afraid to ask about the values and ethics of an organisation prior to taking up a role. We hope the PR industry will emerge unscathed from this recent storm. As for The Tonic Communications, we work with clients that share our values of trust, transparency and professionalism. What’s more, we’re proud to put our principles before profit. For more information about the services we offer, including reputation management, social media, and crisis communications, please get in touch with our team.